Person of Interest, Jonathan Nolan’s previous show, chronicled both the rise and fall of Artificial Intelligence. It showed the potential pitfalls involved with dealing in AI, the risks associated with it and how easily it can spiral out of control. 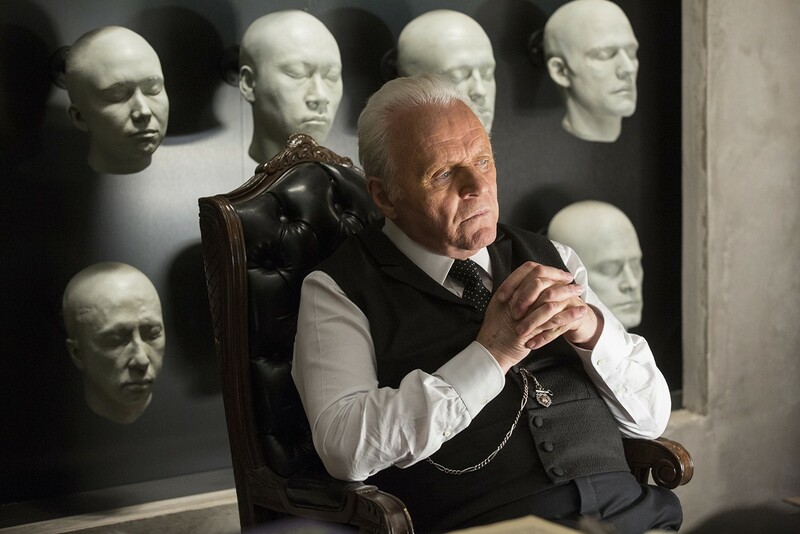 Westworld is telling a similar story, and by the end of tonight’s third episode, it’s clear to see both how close this charade is to falling apart and exactly how it will fall apart. There’s a looming sense of dread now hanging over the show, the tension building gradually and methodically to the inevitable collapse of this fake society. 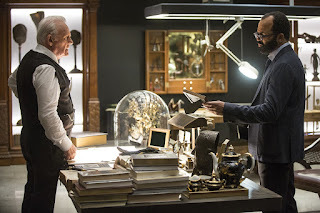 Certainly, “The Stray” managed to - more than either of the two episodes prior - explore the nature of AI and its ability to grow and learn at a rate greater than humans can prevent it from doing. Ford, Bernard, et al wiping each host’s memory after each day in the park is a preventative measure but also a protective one - as Ford suggests, given what the hosts go through in any given day, “The least we can do is make them forget” - and yet Westworld's current trajectory would indicate that, sooner rather than later, those memory wipes aren’t going to be of any use. And once that happens, a whole new can of worms opens up. Throughout “The Stray”, I pondered over whether the guests, or indeed the park facilitators, ever tired of the structure of each day being essentially the same, just with variations that make each one unique(*), but upon reflection, the issue there goes far, far deeper. The problem isn’t tedium on their parts - it’s realisation on the hosts’ part. (*) Dolores dropping the can is the obvious example here. That’s happened four times so far, and each has come before a day different to the previous; even when Teddy picks it up for his second time in this hour, nothing is even remotely similar to that of the pilot. ...Particularly if Dolores can remember her conversations with Bernard. His hypothetical-not-hypothetical that there were two versions of her made no sense to Dolores. But if she can remember that, the fact that they were clearly not anywhere in the park and combine the two, she’ll understand exactly what he meant: There’s a version of her that lives in a Western town and a version of her that remains in a strange building and is controlled by other people. At that point, she may be able to pass the Turing Test, but she won’t be able to fool herself into thinking she’s real. 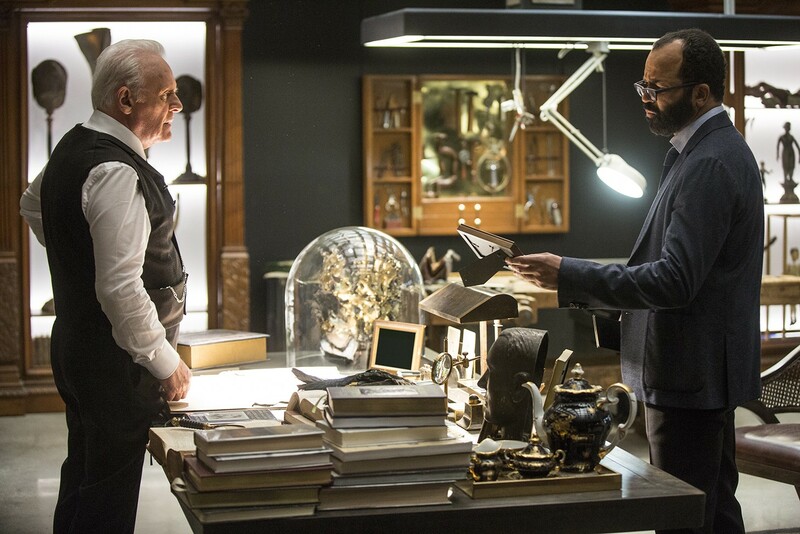 Ford told Bernard about Arnold, his partner when he began the project three decades ago, and how Arnold wanted to give the hosts consciousness, failing to realise that it was the last thing he should do. Giving them consciousness goes against the park’s mantra - which may have been implemented as a result of Arnold’s wish, albeit Sizemore’s reasoning not in keeping with its creation - but is also terribly dangerous. The hosts realising who and what they are would throw things into chaos, bringing down the entirety of this make-believe place along with it. Though we’re not quite there yet, it’s not too far off. And that prospect is incredibly exciting. “The Stray” did plenty more than just leaving the story on a knife edge, though. The episode told us a considerable amount about Ford’s oversight of the park, Teddy’s past, Bernard himself, among other things. For as important a character the opening sequence of the pilot appeared to indicate Teddy was, his role in the two proceeding episodes has been limited. But here we got some insight into why he exists as a character and into his backstory - a word that Elsie used prominently earlier in the hour. Dolores supposedly ‘belongs’ to The Man in Black, with Teddy’s role to keep her in the park. What’s more is that he was never given a backstory, simply a “formless guilt” that he cannot atone for; his attempts to do so result in him dying continually, with Ford saying that he’s died at least a thousand times (in reference to his Julius Caesar quote). But no more, as Ford provided him a new narrative, one where he was once in the army and his boss and friend, Wyatt, turned into a killer who leads something of a murderous cult group. It’s nothing particularly spectacular, but Teddy no longer knows any different. Assuming that his core code doesn’t reset when he returns to life - yes, he was killed again(*), this time by the cult - it will remain his backstory. There’s not a huge amount they can do with it; Westworld's ability to use his backstory will be getting him to betray it, having Teddy attempt to take Dolores away from Sweetwater as they both desire. Making his character more rounded is not a bad step, even if we’ll have to wait a little while for it to really pay off. (*) We’re getting to the stage now where him surviving through an episode would not only be out of the ordinary but would disappoint me greatly. While Ford is developing a new narrative of his own, Bernard is on the downward spiral. 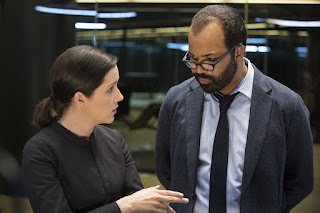 Somewhat overwhelmed by memories of his son, Charlie - prompted by a conversation about him with Dolores, no less - Bernard’s descent begins to parallel that of Arnold. It’s no coincidence that after being told the story, Bernard was more slightly more wary of his conversations with Dolores (though that didn’t last as he decided not to restore her to her previous self, instead providing the “two versions” hypothetical). He’s on a slippery slope right now. His explanation to his wife (played by the as ever enjoyable Gina Torres) as to why he copes with the pain of Charlie’s death is intriguing when you consider the alternative, the very same one that each of the hosts unknowingly live with and, at this point, it seems inevitable that his misery will play a part in the hosts retaining their memories and going rogue. Finally, in the storyline from which the episode gets its name, Elsie and Stubbs tracked down a stray host. Her discovery of a carving of Orion is puzzling, while the stray’s suicide was just as odd. That’s some extreme programming if it was simply him being unable to kill a guest - which, at the time, Elsie technically was. But the larger issue that stemmed here was his awakening from sleep mode. When Maeve did it last week, the show was unclear on whether it was her overriding the command or if it was simply incompetence. Here, we saw the stray go into sleep mode, and Westworld has put enough into Elsie that I trust her to have not made a mistake. Which means that there’s something amiss in the programming that enables hosts to take themselves out of sleep mode. And that means there’s trouble a-brewing. And I cannot wait to see everything fall apart. Last week’s hour remains the best of the bunch so far, but this was still a strong instalment. Keep it up, Westworld. • Ford telling Bernard that he knows how heavily Charlie’s death weighs on him felt very expository. • William and Logan didn’t have a huge role this week, but the former did get to kill Horace after he took Clementine hostage before heading up to the mountains for a narrative, only to have Dolores come and collapse at their campsite in the episode’s closing moments. • His showdown with Horace did prompt me to wonder about the logistics of the ‘guests can’t die’ rule: Are other hosts designed not to notice if a guest is shot and nothing happens to them, or do they simply ignore the gunfight entirely? 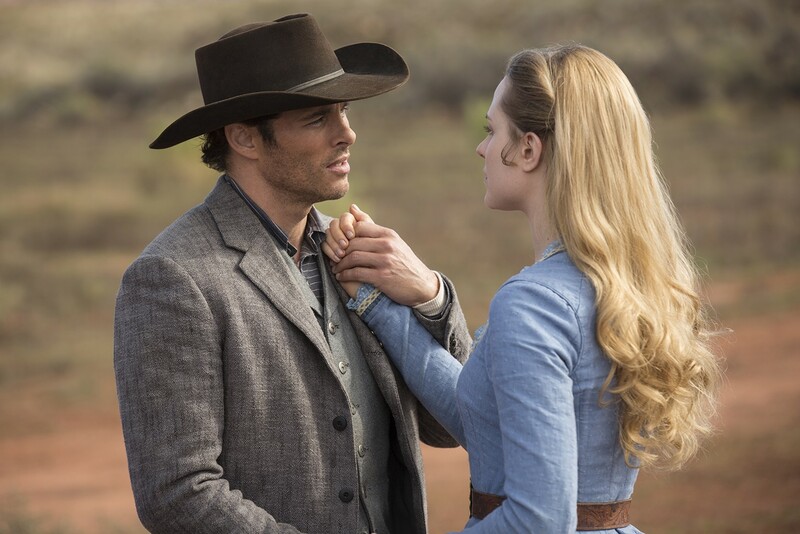 • Teddy teaching Dolores how to shoot may have saved her life at the end of the hour, but it will almost certainly come back to cause problems. • I’m pretty sure they de-aged Hopkins for that flashback scene, and it looked rather good. 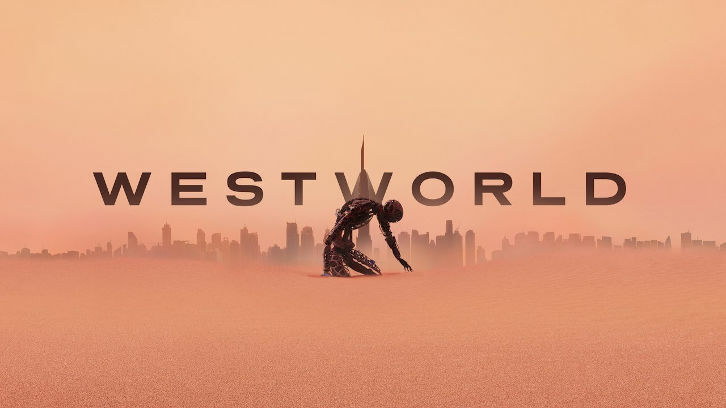 • It costs $40,000 a day to be at Westworld. How much money must The Man in Black have to have been going for 30 years? And do you think that’s good value-for-money? What did everyone think of “The Stray”? Let me know in the comments, and don’t forget to vote in our poll below.